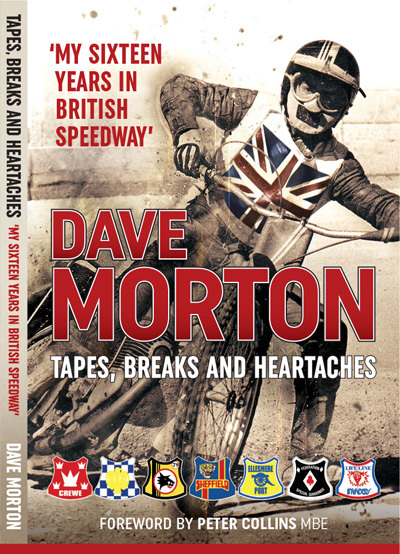 AN exclusive, in-depth, never before heard audio interview with one of the sport’s all-time legends and arguably the greatest never to win the World Championship. The former England and Belle Vue captain reminiscing with Wally Loak on his extraordinary life and times, on and off the track. *His greatest match-race of all. *Spotting the talented young Ove Fundin on his first overseas tour and advising him how to beat Peter Craven at Belle Vue. *His powerful SRA role and playing hardball with Aussie promoters to avert a riders’ strike. *The trouble with Coventry’s D-shaped track. 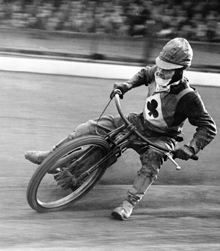 *War-time racing at Hyde Road and changing the shape of Belle Vue. *Earning the respect of Sir Arthur Elvin. *Why Frank Arthur was the best track curator. *Why Wembley was a “ridiculous” choice as World Final venue. *Being crowned unofficial ‘World Champion’ in France and how the promoter blew all his profits. *Team-riding for England with brother Norman. *His family’s struggle to overcome poverty. *Fitness and confounding the medics. *Leg-trailers v foot-forward style and more . 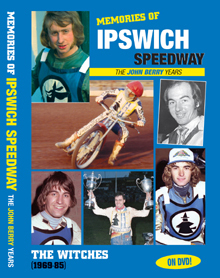 . .
As well as the voice of the then 70-year-old Jack, who died at the end of 1989, this absorbing near three-hour production features many still images and brief colour and black & white video clips from ‘Peerless Parker’s’ halcyon racing days, including full colour Golden Helmet Match-Race action, his 1947 British Riders’ Championship victory and his last public race. 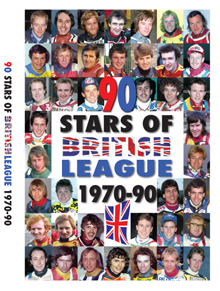 A true collectors’ item for supporters who know their speedway history and the men who helped shape it. 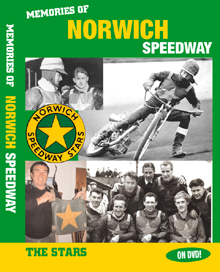 Phone Retro Speedway on 01708 734 502 and pay using the secure PayPal facility.